The FSSD Girls, Katie and Brie, Are Spending Thanksgiving With Military Families. I think this is pretty cool. 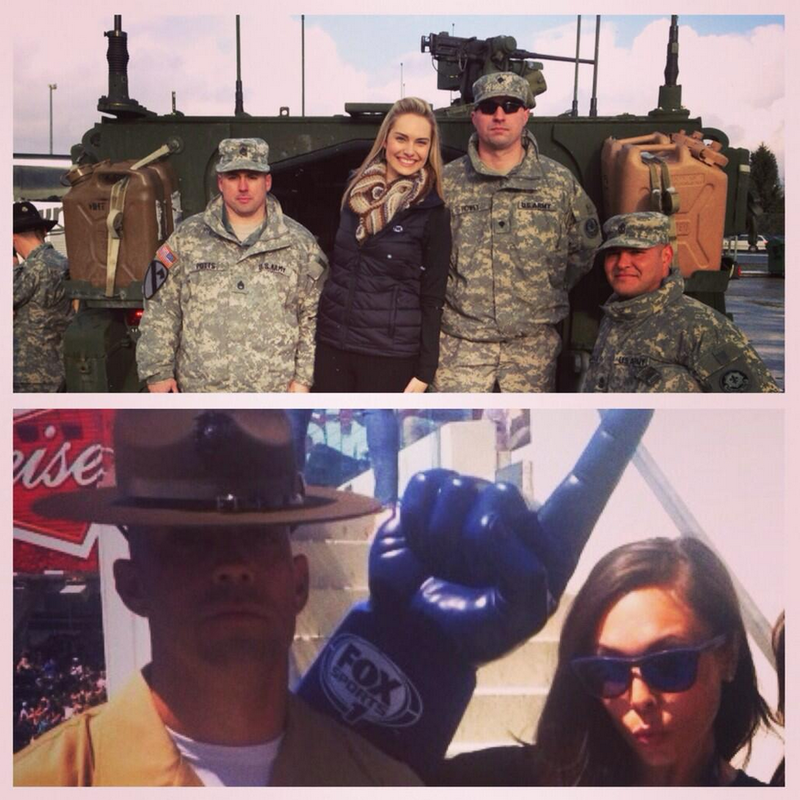 Fox Sports San Diego girls, Brie and Katie, are going to Fort Irwin up near Barstow with Jay Glazer, Eddie George and the Fox NFL Sunday crew for Thanksgiving. All the info on their trip is here. The short of it is that they’ll be doing some charity work with the military spouses and I’m guessing some promotional stuff for Fox. Either way, they’re leaving their families to spend time with the military families and I think that’s legit. The Fox Sports Arizona and Fox Sports West girls are going too… that’s a lot of good looking ladies in one place. This entry was posted in Media and tagged brie and katie, fox sports san diego, fox sports san diego girls, fssd girls, katie and brie. Bookmark the permalink.